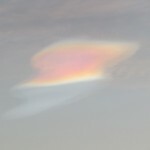 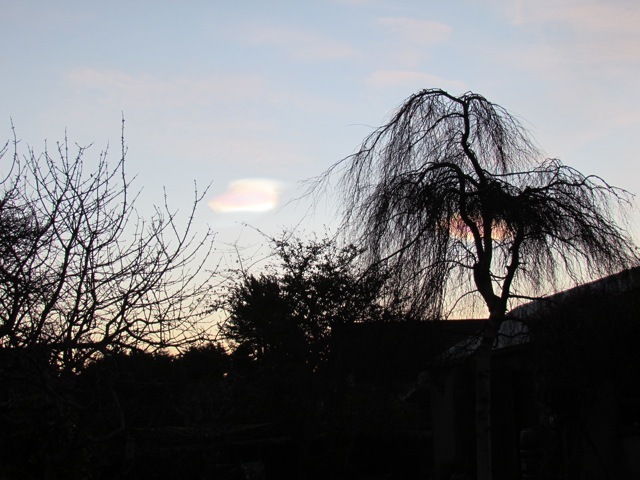 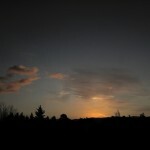 The early evening of 1st February was a good time for seeing NACREOUS CLOUDs. 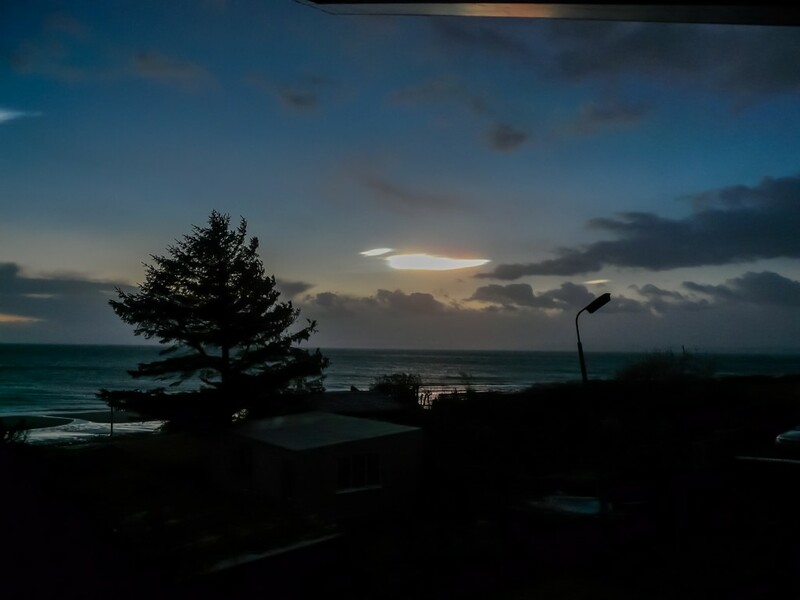 Storm Henry was all around us with heavy rainfall and high winds, but for a time in the late afternoon areas of clear sky were seen. 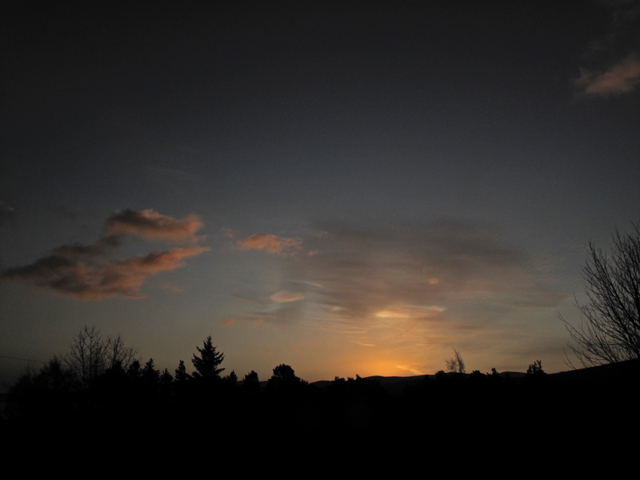 The date and the time were right for a very low sun when people were out and about, and as DISCUSSED HERE the presence of stormy weather and jetstream activity may have helped these clouds to form. 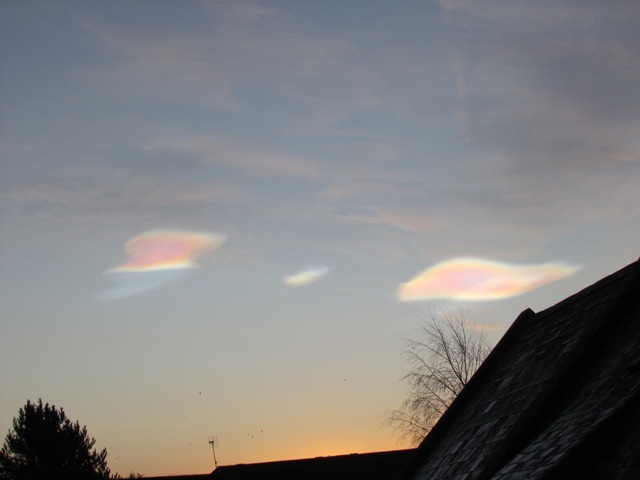 Near Tain Nacreous Clouds were seen by Russell who sent us this picture, taken on 1st February and by Pat who saw them on the 29th of January. 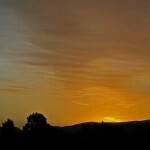 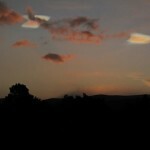 Before dawn on 12th January, 2012 observant watchers of the southeastern sky would have seen two persistent, small clouds which held the imagination. 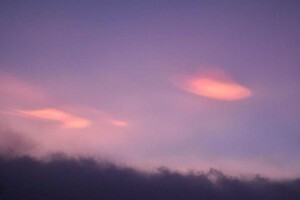 They were of a lenticular shape but their colour was classic ‘mother of pearl’. These clouds were very bright even though sunrise was 20 or 30 minutes away. 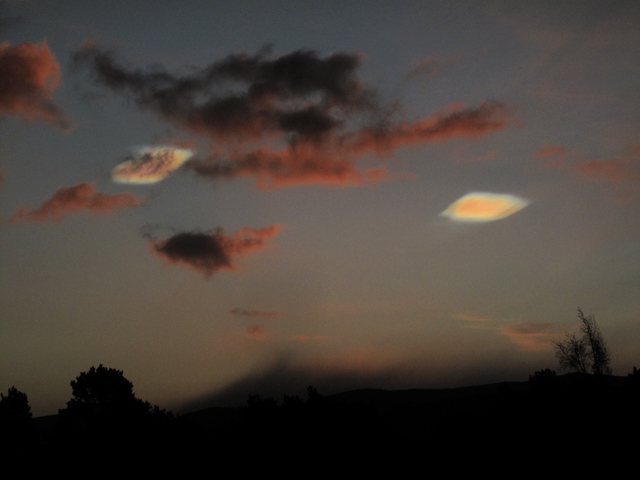 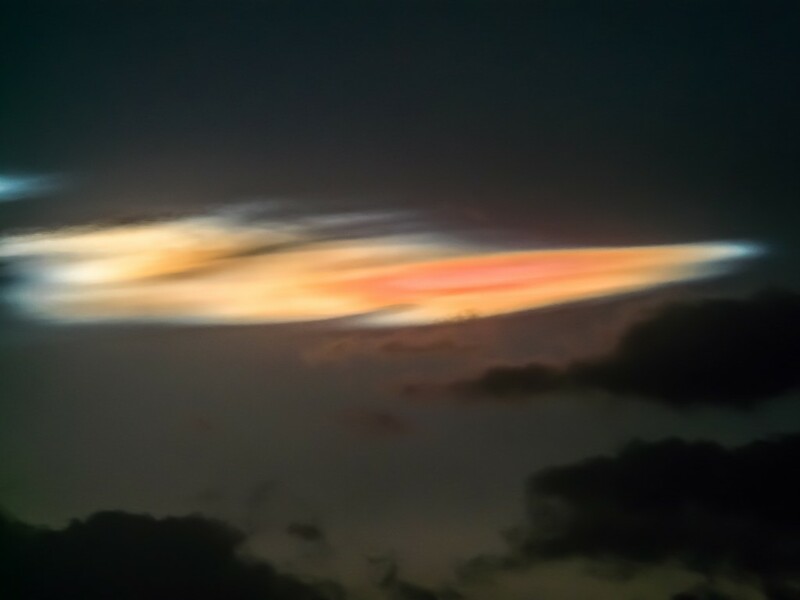 This timing and the presence of other small, low, very dark clouds in the same view indicated these iridescent clouds were, from a very high position, catching (and refracting) sunlight that the darker, lower clouds were not. 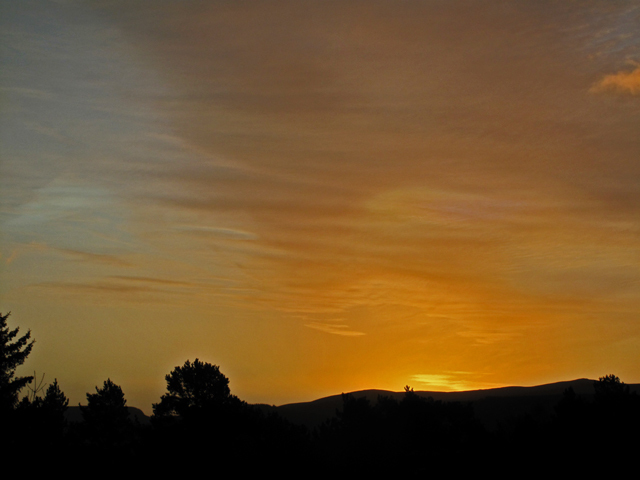 An additional special feature was virga below both clouds. 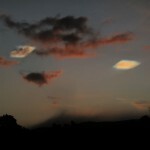 This developed as one watched and succeeded the clouds, being faintly visible after the original cloud was all but vanished. 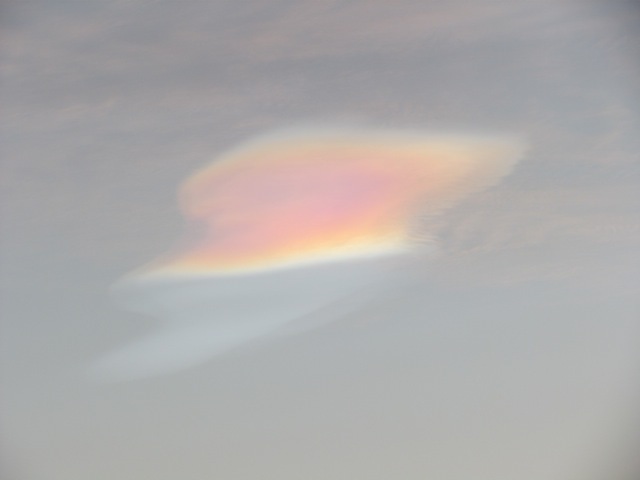 Additionally, a clear anvil developed at the top of one cloud – shown in the picture gallery by clicking an image. 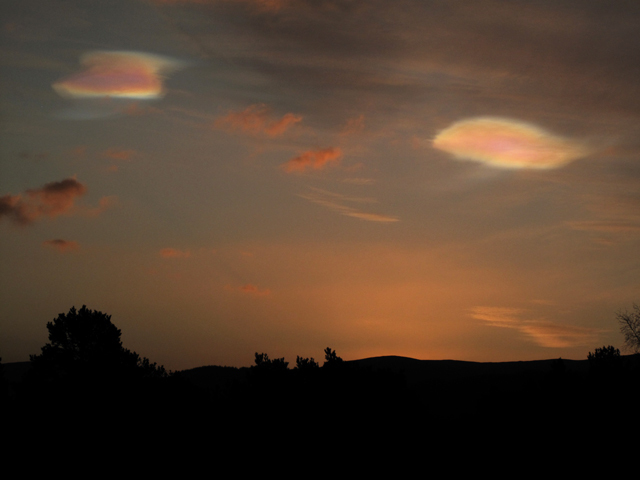 There are a few names that could be attached to these clouds: Lenticular, Nacreous, Polar Stratospheric, Iridescent. 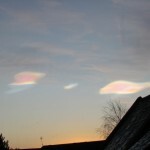 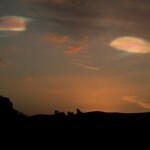 Nacreous clouds typically look very filamentous and cover wide areas of the sky, and have the same mother of pearl colouring seen here and are similarly very high in the sky, visible after sunset or before sunrise. 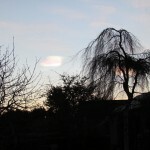 Iridescent clouds are ‘normal’ but sunlight passes through them at the precise angle to display a spectrum of colour, as in this case. 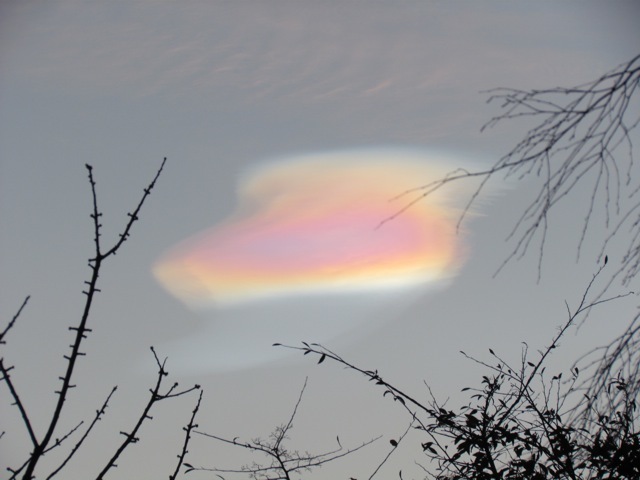 The spectrum can be affected by the cloud composition as well – that may be water droplets, ice crystals, or nitric or sulfuric acids in water. 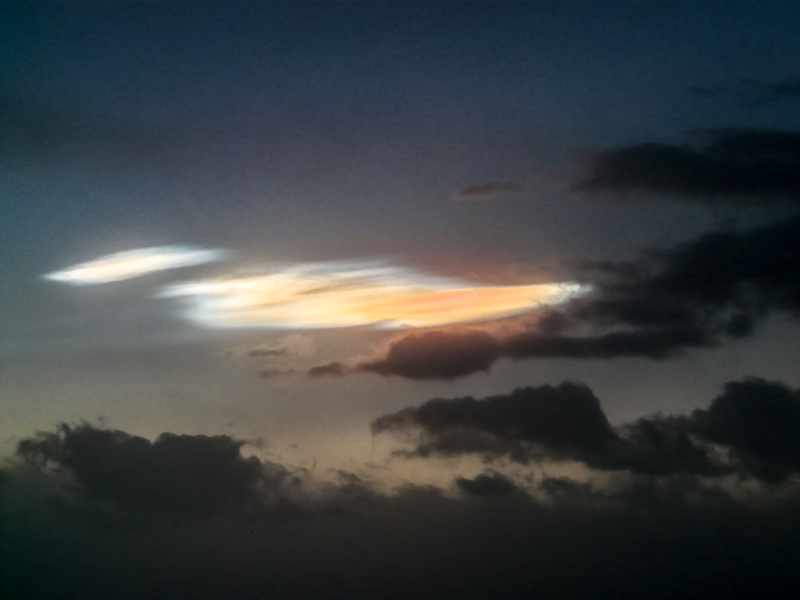 This whole cloud performance was over in 15 minutes. 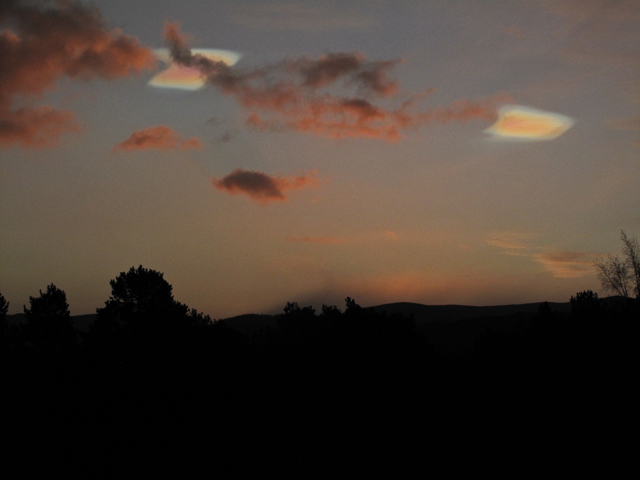 Watchers before or after would have no idea what took place. 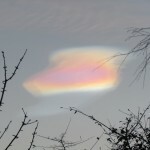 EPOD ( a service of NASA’s Earth Science Division and the EOS Project Science Office (at Goddard Space Flight Center), and the Universities Space Research Association ) has suggested that these clouds were Nacreous Clouds and they have published David’s photo as their photo of the day on Valentine’s Day – see comment, below, of 15th February.